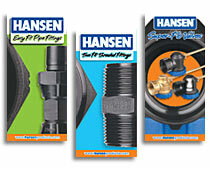 Individual boxes and dividers that can be used on HANSEN™ or on store shelves to display HANSEN™ products. 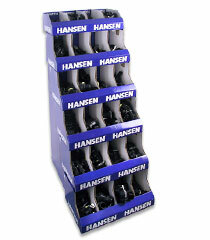 These are free standing display that can be used where shelf space is not available. Compartments can be customised to suit your store requirements. Available in Hangsell/Shelved as well as Shelf Only versions. 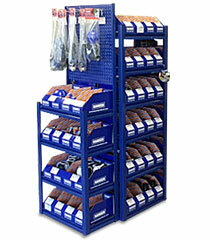 This is a free standing display that can be used where shelf space is not available. Compartments can be customised to suit your store requirements. 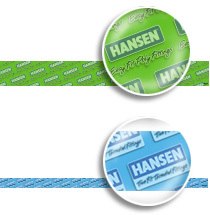 Store shelf strips used to help customers quickly identify Hansen product ranges in Hansen bin boxes. 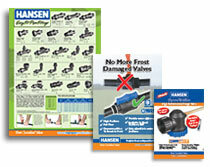 A2 Laminated Product Range and A3/A4 Product Specific posters that display the various ranges of Hansen Pipe Fitting & Valves. 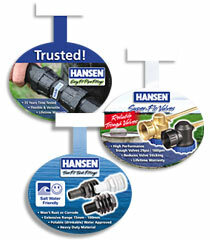 Brochure download page for the Hansen range of fittings & valves. 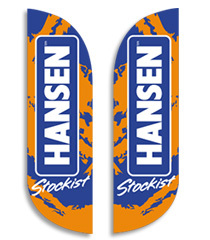 Colourful store wobbler sales talkers ideal for promoting various Hansen product ranges throughout the store. 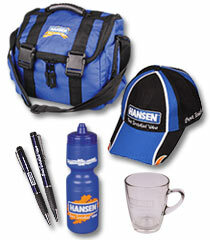 A range of Hansen branded promotional items and apparel. 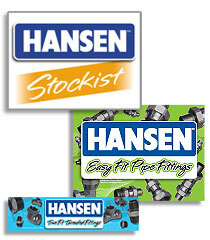 To make your retail store shopping experience easier, we've created this downloadable Acrobat PDF of the HANSEN™ range of fittings to help you with your purchase. For an editable version of the shopping list, please click to download the Microsoft Excel spreadsheet.